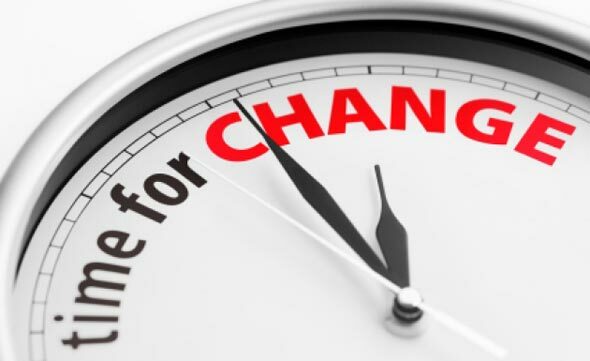 Coach Matt Nein writes a fantastic post about change and the realities of this happening. ENJOY!!! It’s time, time to start the change. You cannot stay in one place and expect success to develop. As I said in part 1 of this blog resiliency to change is often easier. Change takes effort and commitment to grow. By fully understanding growth is necessary you have begun to take the right steps to create change. So how do we start, where do we begin? The first component of change is the realization that change is a direct result of the decisions we make. The decision to change has to be made by the person changing and this person only. People may coach, lead, teach, or guide you to change but if change is what you want; you have to consciously make the decision to change. Once we have decided the change is necessary, again the decisions we make will impact the change that occurs. Step two involves creating change you believe in. Why do you want to change? The change you are looking for should be important to you. It should be something that resonates deeply within who you are. If we are not personally invested in the change, the change we are striving for is less likely to occur. Set Goals. Not just any goals, but goals that are actually useful and measurable. Too often I find that people set only outcome goals but forget about the process and how they reach those outcomes. When goal setting, it is important to set process goals that will help define the road you are taking to reach the change you want to be. As a basketball athlete one may set an outcome goal of making the starting lineup. This is great but it will not happen without specific guidance. A performance goal then can help guide the athlete which might include reaching a certain shooting percentage indicative of making the starting five. The process goal then would look at making a certain number of shots per certain number of days per week. If you look at each of these goals they are all measurable and all a component of change to become a better basketball player. Trust, Time, Learn. Everyone wants change to happen quick and as fast as possible. This is not always true and most likely not going to happen. You must trust the process and those that you are working with. Over time, you will see little incremental changes that will ultimately lead to the change you are looking for. During this process there will be many pitfalls. Struggles and failure can be some of the best things that happen to you if look at it with the right mindset. You may be thinking this is crazy, how can failure be helpful. Well, it’s all about how look at failure. John C. Maxwell states that you have two options when met with failure. You can either fail backward or fail forward. Here is how he looks at failing from his book Failing Forward. Lastly, once change is initiated, we need to create opportunities. Change will continue to thrive when opportunities are created. When opportunities are created, success or reaching ones goals are much more attainable. Just remember that the decisions we make with the opportunities we are given ultimately lead us to the outcome attained. To create opportunities you must continue to learn, network, give, and take chances. A great piece of advice from the book QBQ – The Question Behind the Question by John Miller is that we must move away from victim based thinking and progress toward personal accountability. I will leave you with this and discuss its relationship to change in more depth in the next blog post. Please tell one person you know about the EducatedCoaches.com blog. A revolution is happening to amateur sports in America and we are on the forefront!